You may know him as Dell‘s Vice President of Communities and Conversations, where he headed Dell’s social media team. But since April, he’s Bob Pearson, President of the Social Media Business Council, which brings together large companies to understand social media and how they can adopt it in an intelligent, effective way. The members of the Social Media Business Council are the heads of social media at Fortune 1000 companies, including Molson, Dell, Coca-Cola, Allstate, Cisco, Ford, General Electric, H&R Block, Home Depot, Intel, Intuit, Johnson & Johnson, McDonald’s, Microsoft, Petro-Canada, Pfizer, Procter & Gamble, Starbucks, UPS and Walmart. Bob has run one of the most successful social media outreach programs during his time at Dell. Today, he rubs shoulders with the senior executives who are trying to the do the same at other big companies. At Third Tuesday Toronto, he will share his unique perspective on the right way for corporations to engage with social media. What are the largest companies hoping to achieve through social media? What are the biggest challenges they have to adopting it effectively? What works well and what doesn’t seem to work? You can register online to attend Third Tuesday Toronto with Social Media Business Council President Bob Pearson. There’s a lot that goes into putting together Third Tuesdays. And we couldn’t do it without the support of our sponsors. Sponsors for this month’s event include Molson Canada – Ferg Devins thought of us when he heard Bob was coming to Toronto and arranged for him to speak to us; CNW Group, our founding sponsor; and the Berkeley Event Venue, who provide us with a fabulous and friendly place to meet. Charging for admission to Third Tuesday? Boy, did you ever give me a piece of your mind. I received some thoughtful advice on my blog, on Twitter and in person. And, based on your responses, I’m going to modify our approach to admissions to Third Tuesday Toronto and Third Tuesday Ottawa. But that will come at the end of the post. First, I want to review what we did, what people told me, what actually happened at the event. Then I’ll outline the new approach I hope to test at the next Third Tuesday. And finally, I’ll talk about what I learned through this experience. When I announced the June Third Tuesday Toronto and Third Tuesday Ottawa, I introduced a $10 admission charge. In my blog post explaining the new admission fee, I pointed to the fact that, as Third Tuesdays became more popular, the number of people who registered to attend and then failed to show up at the event was sometimes in excess of 40%. This is a huge problem for people organizing a free event. We couldn’t be sure what level of staff the venue organizers should have on hand, which is unfair to them. Even more important, other people who wanted to attend were sitting on a waiting list while people who had no intention of attending had taken all the available spots. The folks at Meetup counsel event organizers to charge an admission fee. Looking at the experience of meetup organizers who use the Meetup.com site, they realized that even a small admission fee cut down dramatically on the number of no-shows. So, I decided to implement a $10 admission fee. What did people tell me? The admission fee turned out to be a big deal for some people. And the discussion showed it was about much more than money. Yes, some wondered if this is a cash grab. What would I do with the money? Several talked about the need to provide a break for students. Some people seemed to have decided to take a pass on Third Tuesday now that there is an admission fee. Some organizers of other community-based events chimed in saying they understood the move to an admission. Some people suggested alternatives to charging an admission fee. The bottom line is that the introduction of an admission fee was very effective in reducing no-shows. And here’s the telling point: Virtually every one of the no-shows this month in both cities were people who registered to attend but failed to pay in advance. Almost every single person who paid the $10 admission fee in advance actually attended. So, what happens now? A break for students. Community shouldn’t be about majority rules. It should be about respecting and trying to accommodate everyone’s point of view. So, while I take some comfort from the people who understood and supported the move, I’m also very sensitive to the views of those who don’t agree with what I’ve done. So, I’m going to make a change to the way we charge the admission fee. We will continue to charge a modest fee. The $10 fee did reduce the number of no-shows dramatically. And while several interesting alternatives were suggested, they all add a degree of complexity to the work of what is, after all, a volunteer-driven organization. The $10 fee is simple and effective. So, we’ll keep it in place for now. But, some ask, where is the money going? Third Tuesday was conceived as a non-profit community-based event and I intend to keep it just that. You have my pledge that every penny from admission fees will be reinvested in the Third Tuesday program – to help us bring in speakers, to pay for the cost of the venue, to ensure we have WiFi at the events. I’ll keep reviewing this policy on an active basis. And if it’s not serving its purpose, we’ll change it. Don’t stop talking at me and with me. I want Third Tuesday to be our community. So, if I still don’t have it right, let me know. And if I do have it right, don’t hesitate to say so. These discussions are good. They show me that you care. And if you care, then Third Tuesday must be worth caring about. Why a registration fee for Third Tuesday? Several people in both Toronto and Ottawa emailed me to ask why I’ve introduced a $10 registration fee for Third Tuesday Toronto and Third Tuesday Ottawa. That’s a fair question. And I thought I’d answer it here for everyone to read instead of responding only to those who asked. The reason is simple: We’re searching for a way to reduce the number of “no-shows,” people who say they will attend and then don’t show up on the night of the event. The Third Tuesday community has grown substantially since Shel Israel appeared at the first Third Tuesday Toronto and Third Tuesday Ottawa in September 2006. In fact, the Third Tuesday Toronto membership now exceeds 2,000. On any given night between 150 and 250 people will come out to meet and hear the speakers, to talk about social media and to network with others who share their interests. The problem is that, as the events have grown and become better known, the number of people who actually show up can vary substantially from the number who indicate on the Third Tuesday site that they intend to attend. Our no-show rate has on some nights exceeded 40% of the expected attendees. This makes it extremely hard to plan the events. We have to lock into a larger hall than we may need. The venue will overstaff, driving up their costs and making them more reluctant to have us return again. No-shows have another even more serious impact. We’ve sold out several of the Third Tuesdays in Toronto and Ottawa this year. And when you have people on a wait list, every no-show deprives someone else of an opportunity to participate. That’s not good. And we have to find a way to reduce the no-shows. We have experimented with charging for Third Tuesdays in the past when we scheduled them over dinner. In the case where we charged a $20 admission fee, the number of people who reserved a spot but didn’t show up dropped to virtually zero. The simple fact is: If you charge people a small amount, they’ll place a higher value on their commitment to attend. So, by introducing a modest admission fee, I’m hoping to reduce the number of no-shows and make every seat in the house available to people who actually will come out and participate. 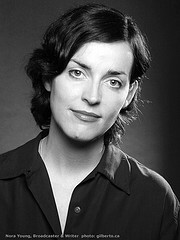 Ultimately, the quality of the event is determined by the participants. One of the ways that we’ve been able to attract such great speakers is that they know that Third Tuesday is a great community of people and they want to plug into that community and talk about their ideas with us. I want to keep the Third Tuesday community vibrant. I hope that introducing an admission fee will help to do this. Over the past year, Chris Wightman (@cwightman), the City of Ottawa‘s Manager of eMedia, and his team have explored how the city could use social media to improve information sharing among employees and to bring the city closer to citizens. Chris will be talking at the next Third Tuesday Ottawa about his experience with social media at the city. Chris will describe the hightlights of the city’s exploration of social media, what has worked, what hasn’t worked yet and what comes next. I think you’ll find that this is a classic case with lessons that anyone in a public service environment can use. From making a business case for each tool being explored through to making the case for open source software, Chris and his team have been there. They’ve also tackled the challenge of educating their colleagues about social media and its potential to help them do their jobs. And they’ve faced the expected corporate concerns of IT system security, privacy, accessibility and, of course, resources. If you’re in government or a large organization, and you’re looking for inspiration and examples you can use in introducing social media in your work environment, you’ll find Chris’ presentation to be chock full of useful information. 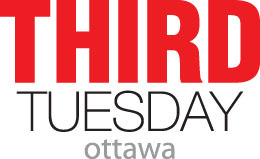 You can register online to attend Third Tuesday Ottawa with the City of Ottawa’s Chris Wightman. And once again, thank you to our founding sponsor, CNW Group, who have been with us from the outset. Your support enables us to continue to organize better and better Third Tuesdays. I’ve been listening to and watching Leo Laporte on TV and the Web for years. He comes across as a truly nice guy. So, I was floored when he went nuclear on Michael Arrington. Swore at him. Threw him off TWiT and told Steve Gillmor to find another place to produce Gillmor Gang. Shortly after, Michael Arrington wrote about the exchange in a post on TechCrunch. He apologized – and then added a short message from Leo Laporte apologizing for overreacting. OK. So today’s contretemps is over. But …there must be a lot more history here to have triggered Leo’s angry outburst. Wow. A Tweetup is being organized at Cardero’s in Vancouver at 4PM this Sunday. I’m going to be speaking with @martinwaxman on a panel at the CPRS National Conference in Vancouver earlier that day. So, I’m definitely planning to attend the Tweetup. If you’re in Vancouver on Sunday and you want to get together, why not join us at the Vancouver Tweetup. It’s not just for PR people. It’s for you and me.